The best, most cost effective project you can do to improve your lawn is a well balanced turfcare program, along with a soil test. Pristine lawns don’t just appear. They are often maintained by state certified applications or by educated homeowners who strive for perfection and work within time zones for optimal results. I’ve listed popular turf care programs along with services available to get you going in the right direction. 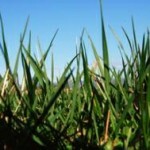 #1 Crabgrass Control – this application is applied in March or April. Application #1 is to prevent crabgrass from emerging (pre emerging). For troublesome lawns a second application should be considered. #2 Weed Control – upon unsightly dandelion emergence, we spray lawns with a premium herbicide which knocks broad leaf and other weeds out fast. This takes place in the spring and sometimes fall. #3 Insect Control – from surface feeding insects to subsurface feeding insects, sometimes these pests can ruin an entire lawn. We offer quality insecticide products to control and target pests. This application is typically applied early to mid-summer. #4 Turf Builder – in late summer this application is applied to help lawn and root system recover from stress associated with summer. 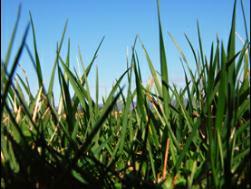 Excellent results are often seen from the luster of the lawn to the quality of the stand. #5 Winterizer – in November we apply a winterizer to finish out the season. This helps the lawn green up for the spring. This service is valuable only if performed at the appropriate time. Thatching will keep a lawn looking its best. Fungus and insect problems are often associated with thatch as the pest or fungus thrives in these conditions. In addition, some products applied get caught in the thatch later. Therefore, you do not get the control or results you expected. We are trained to know when it is the best time to thatch a lawn. We aerate properties every fall. This helps manage thatch in lawns, allows water and air to the root zone and significantly helps with compaction issues. This very important application is responsible for keeping P.H. in check which keeps your lawn looking healthy.